The CEO of Asuoden Music, Pope Skinny continues to reveal some deadly secrets about his longtime friend and Shatta Movement boss, Shatta Wale. According to Pope Skinny, the ‘My level’ hitmaker is to blame for the problems the CEO of Menzgold, Nana Appiah Mensah is currently going through. Pope Skinny is currently on the revealing secrets spree as he continues to disclose deadly secrets about Shatta Wale. 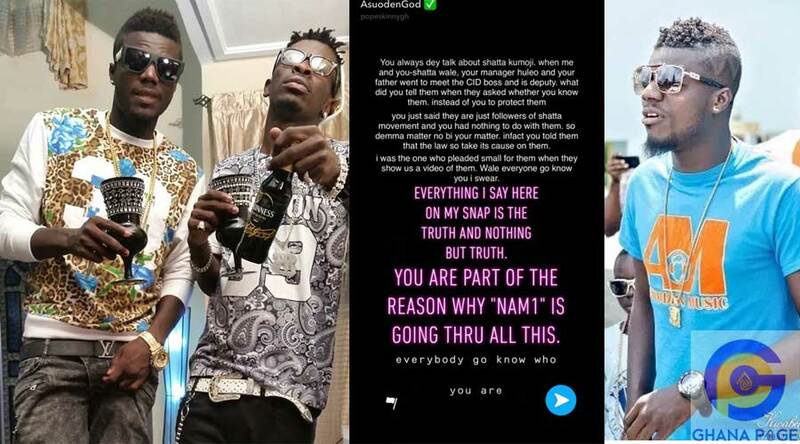 He took to his Snapchat account to state that Shatta Wale is the cause of NAM1’s problems. The rapper didn’t make clear what he meant by the above statement but it will be brought out to the light soon. The two musicians have been at loggerheads with each other for some days now and they have been revealing deadly secrets. Stay on Ghanapage.com as we keep you updated. 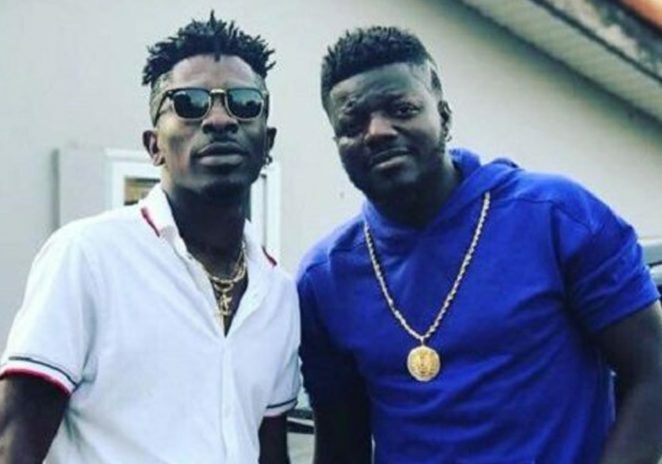 The post Pope Skinny claims Shatta Wale is the cause of NAM1’s problems appeared first on GHANAPAGE™.